he is, and all that i know about him is that he lives with his mom in a flat in my neighborhood. Love the quote and the story. One a neighborhood teenager walked by as I was shoveling and just took over–for no reason and without promise of pay. It was the sweetest thing. I went to the school (I’d figured out who he was through my kids and made a big fuss about him to the principal (and left the kid a small token of my appreciation). Heroes should be celebrated–as you just did here! Thank you for reminding me. I think his summer name shall be Pincor, Beth. Well, Beth, You found your hero but he is gone again before you can ask him to do this for the whole summer but at least now you know he lives in your very own neighborhood. So that is better access at least. I’m sure he’ll appear out of nowhere again..
How sweet. I like him so much. He will grow up to be very responsible! Lovely. Young people get such a poor press and so many of them are wonderful. 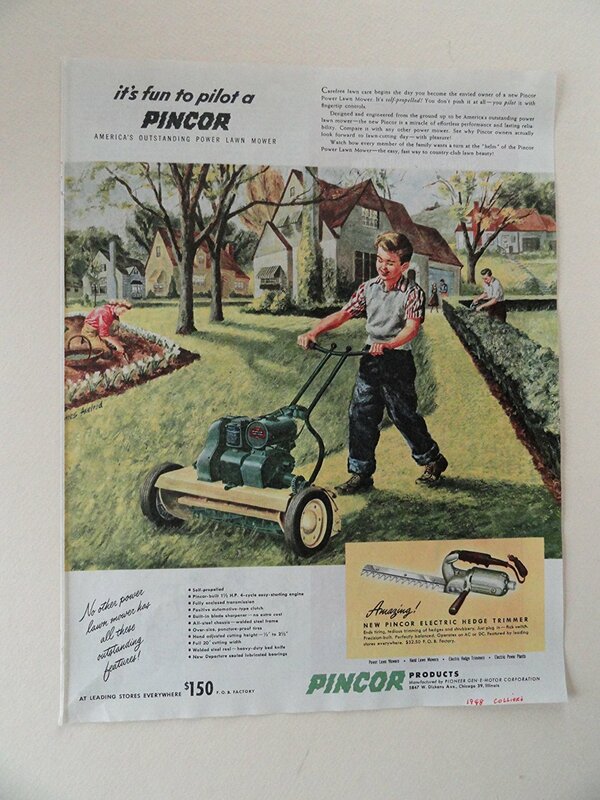 I am filled with nostalgia, and hope, when I see a youngster pushing a mower and earning money. Lawn Hero! I need one of them. There should be a “love” button, for I love this. I good reminder, when we “kids today don’t . . . ” Yes, they do. Reminds me of the teen who has come by occasionally and offered to shovel snow. I paid him extra, pleased to see him so enterprising and hard working. But I have to hire a regular for summer mowing.